Not since The Elegance of the Hedgehog has a book arrived in America from Europe on such wings of critical praise and popularity. 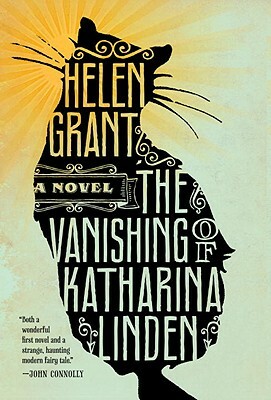 The Vanishing of Katharina Linden is an unforgettable debut—at once chilling and endearing, haunting and richly insightful—the story of one girl’s big heart and even bigger imagination, and of a world full of mystery, good, and evil. It isn’t ten-year-old Pia’s fault that her grandmother dies in a freak accident. But tell that to the citizens of Pia’s little German hometown of Bad Münstereifel, or to the classmates who shun her. The only one who still wants to be her friend is StinkStefan, the most unpopular child in school. But then something else captures the community’s attention: the vanishing of Katharina Linden. Katharina was last seen on a float in a parade, dressed as Snow White. Then, like a character in a Grimm’s fairy tale, she disappears. But, this being real life, she doesn’t return. Pia and Stefan suspect that Katharina has been spirited away by the supernatural. Their investigation is inspired by the instructive—and cautionary—local legends told to them by their elderly friend Herr Schiller, tales such as that of Unshockable Hans, visited by witches in the form of cats, or of the knight whose son is doomed to hunt forever. Then another girl disappears, and Pia is plunged into a new and unnerving place, one far away from fairy tales—and perilously close to adulthood. Marvelously morbid, stunningly suspenseful, and exceptionally winning, The Vanishing of Katharina Linden is a new coming-of-age classic, and the most accomplished fiction debut in years. Helen Grant was born in London. She read classics at St. Hugh's College, Oxford, and then worked in marketing for ten years in order to fund her love of traveling. In 2001 she and her family moved to Bad Munstereifel in Germany, and while exploring the legends of this beautiful town she was inspired to write her first novel. She now lives in Brussels with her husband, her two children, and a small German cat. Delacorte Press will publish her second novel, "The Glass Demon," in 2011.